I've been wanting to bake with my niece since she was born, I know, probably a bit over eager but the introduction of her retro alacart toy kitchen (that made me very nostalgic) and her disappointment that the used spice boxes I gave her to go with it were empty made me decide at 19 months old it was time to give it a try. Yesterday, we spent a gloriously messy morning mashing sweet potatoes and sampling cake batter. 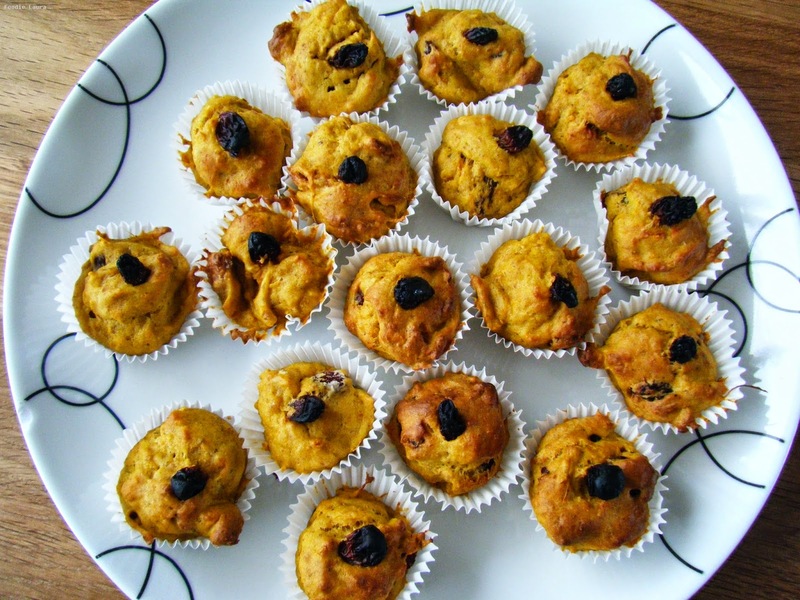 The recipe was an adaptation on my sweet potato and pumpkin muffins and I picked it because there's no sugar added to it, all the sweetness comes from the sweet potato. I switched the pumpkin seeds to sultanas because they are less of a choking hazard and added a bit of Lindwoods milled flax and seeds because it's lovely and colourful with pretty goji flecks. I added the egg at the end after we'd had our "mix mix" fun. Oh yes, there was a song to go with this recipe, more of a chant really "mash, mash, mash" followed by "mix, mix, mix". My niece enjoyed the muffins warm from the oven and was very interested in watching them rise. Later in the day she favoured picking the sultanas out of the cake and just eating them but even if she hadn't eaten any of them it was worth it just for the process of getting stuck in and baking them together. Mash up the sweet potato. Mash, mash, mash. Add the dry ingredients. Mix, mix, mix. Add the wet ingredients saving the whisked egg until last. Mix, mix, mix. 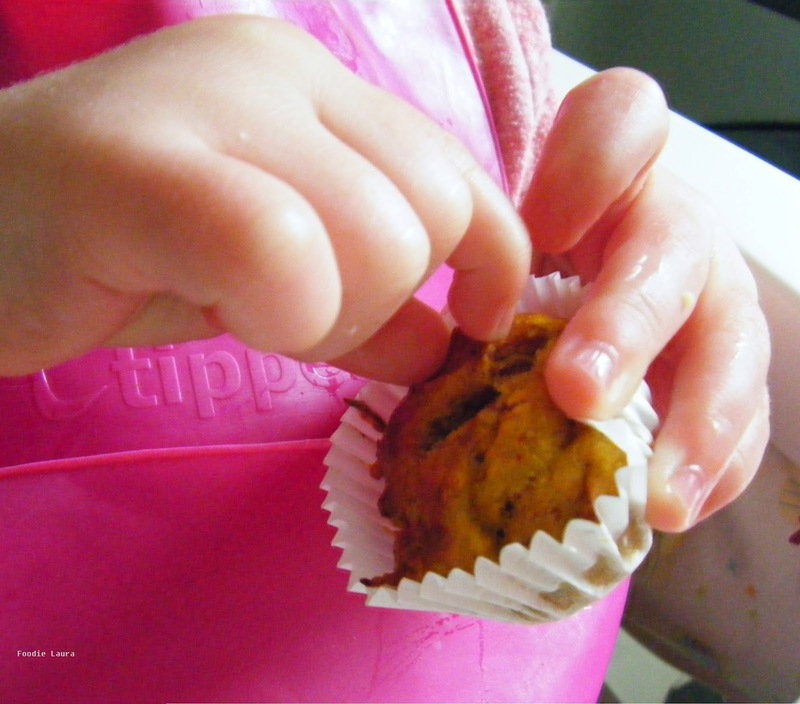 Divide the ingredients between 30 paper mini muffin cases, around 2 teaspoons in each. Bake for 15-20 minutes until lightly browned on top. I found a bit of a conga while waiting went down well. The mini muffins are freezable and make handy little snacks because they are so small they defrost really quickly. What's your favourite kid friendly recipe?